Our plug-ins are protected by an iLok license management system. Don't worry, this iLok system is FREE, easy to use and very common in the audio industry. It just requires a little bit of setup AND a working internet connection. This iLok system will allows you to deposit a unique demo or perpetual license to use our plug-ins on your computer. You will then be able to activate your license on a FREE iLok Cloud session which will allow you to use your plug-ins from any computer as long as you have an internet connection. Sounds complicated? Don't worry, we will walk you through it. Download the iLok License Manager for your operating system here, and install it. Create a new iLok account online if you don't have one, or direclty from the iLok License Manager you just installed and sign in. 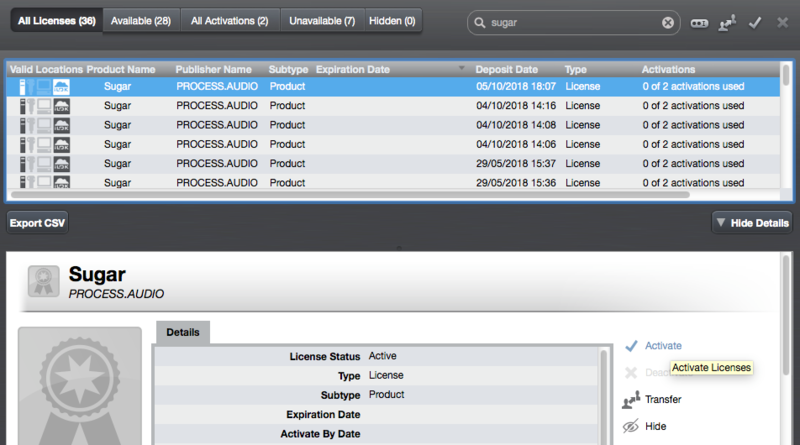 Redeem your plug-in licence from your licences page: https://process.audio/profile/licenses. You will be asked to enter the user id of your iLok account. Upon Success, you will see your plug-in license in your iLok Manager. 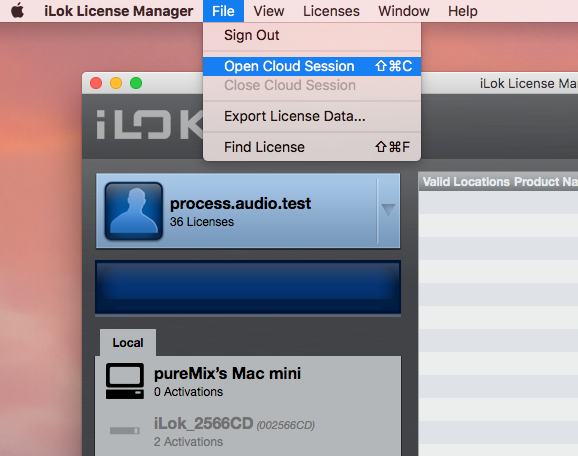 Click on File in the menu bar of the iLok License Manager and select Open Cloud Session. All iLok Cloud licences will be automatically activated on your account. Close your DAW, install your plug-in and start your DAW again. Your plug-in should now be ready to use.